Arising from years of reflection, the result of our 2008 and 2014 Congregational Chapters was the endorsement of “Our Way into the Future”, a new expression of our Mission to be “adopted as a blueprint” for responding to “the cry of our times” and to a “reflection from the Congregation Leadership Team on a new way of being a Brother for the world today”. With “Our Way into the Future” we have pronounced that “it is the agenda of the world that sets our mission direction. It is in deep listening to the groaning earth and her suffering people that the Church and Congregation experience God calling them to be agents of change, hope and transformation”, sentiments echoed in the encyclical of Pope Francis, Laudato Si. This sentiment has resonated with us in terms of responsible stewardship, leading us to invest not only for income, growth, and capital security, but also to create a positive impact on the world around us. With the guidance of our advisors, our ethical investment policy has evolved from simple avoidance of stocks, to screening positively and negatively using ESG factors, to incorporating numerous impact investments, and onward most recently to fossil fuel divestment. Our Impact Investing journey began in the mid-2000’s, when our advisor recommended a number of Positive Impact investments to us. The Blue Orchard Microfinance Fund offers loans to micro-banks in the developing world, which in turn offer those loans to microbusinesses. The micro-banks have made loans to 17,000,000 entrepreneurs, and the Microfinance Fund has directly financed nearly 1,000,000 of these micro-entrepreneurs, helping to generate nearly 150,000 jobs as micro-entrepreneurs expand their businesses. We also invested in a clean technology fund and a venture capital fund supporting developing business in our own geographical region, all investments which have developed over time and in which we are still involved. In 2009 we expanded our impact investment portfolio by investing in a Forestry Project in Zambia, set up by our advisors and financed by their clients. 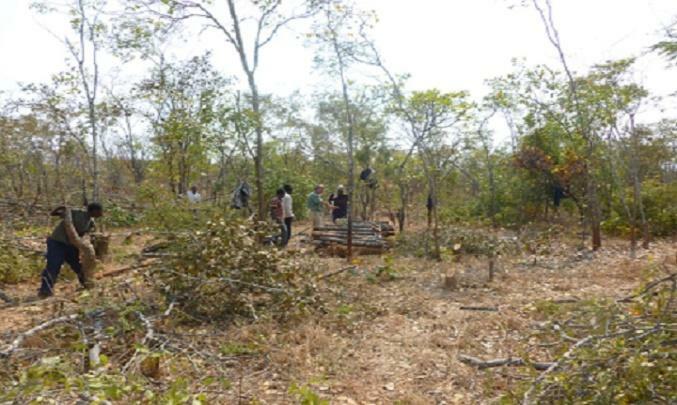 The project purchased a tract of land in Northern Zambia and planted 500 hectares of trees, set up a charcoal production business and an agricultural production business. 150 people were employed (a huge positive impact where only 10% of the population are in formal employment), and approx. 500,000 tonnes of carbon was sequestered during its tenure. The project was purchased by an international farming and forestry group in 2015, which has continued to develop the project and now employs 500 people in the area. The project has been a huge success from an Impact Investing viewpoint, at a time when virtually no Impact investments of a similar nature were available for investment. In the late 2000’s, we also invested in a Social Infrastructure Fund (building schools, hospitals and courthouses), several forestry funds in the US and Europe, and a sustainable property fund (renovating their property holdings to a high environmental standard). This was later followed by a solar plant project in the UK, one of the first investments of its kind with a new UK solar manager. This solar manager has now gone on to become the larger manager of UK solar plants, managing solar plants of value of circa £1bn. In recent years we have invested in a global renewable energy fund, targeting investment in renewable power and energy efficiency projects in the developing world. Our most recent impact investment provides an investment loan to an Irish charity, in an innovative type of impact investment. The Irish charity has used the loan to provide solar lamps, efficient charcoal stoves and water point repairs in the Horn of Africa and Zambia, all of which provide a social and an environmental benefit. The environmental benefit is “sold” as carbon credits to interested companies, thus generating a return to repay our loan to the charity with interest over a 5-year period. The loan has impacted 133,000 people in the targeted countries, saving nearly $200,000 spending by some of the world’s poorest people on kerosene and charcoal, and reducing emissions by 220,000 tonnes of CO2 per annum. The loan has also funded the repaired 600 water points in Eritrea alone, and reduced water borne diseases by 40%. The Irish charity will shortly be launching a fund targeting similar impact and returns on a wider scale. We have also recently moved to divest entirely from companies materially involved in the burning or extraction of fossil fuels, in line with the Laudato Si. The result of the above is that 33% of our Portfolio is now invested in Impact Investments (most of which also have a strong projected return). We receive detailed reports on the impact of our investments, and we are pleased to note that our entire investment portfolio now emits only one-third of the carbon emissions of a mainstream charitable portfolio, holds zero fossil fuel reserves, and produces 30 times the renewable power of a mainstream portfolio. This is the type of Positive Impact that we want our investments to produce. We are also pleased to note that we have achieved all of the above impact while meeting all of our investment goals, and generating excellent absolute and risk-adjusted returns over the past 20 years relative to mainstream portfolios. Why Tell Our Impact Story? We understand that many religious groups would like to participate in ventures that achieve real social and environmental impact. However, we know that this desire is not always facilitated by their investment managers and other service providers. We see it as our duty to fellow Catholic organisations to share with them what we have found to be realistically achievable in Impact Investing. We want to dispel many of the fears and myths around less traditional investment opportunities; these investments have earned not just healthy financial returns for us but delivered real and measurable social and environmental impact. We want them to know that it is worth the effort and to know what they can and should reasonably ask and expect of their investment managers. We also want to impress on them that they do not need to be large in size or have strong investment knowledge to start the process of impact investing.